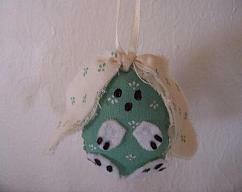 Here's another cute little bunny! 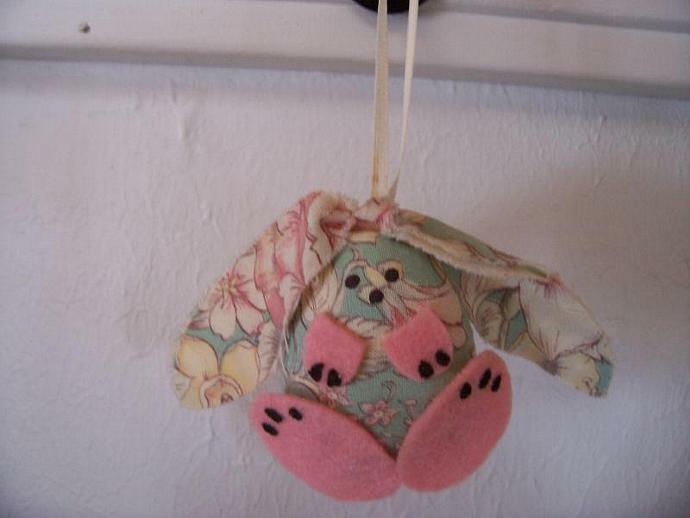 Green floral fabric was my choice for this one, pretty pink feet & paws of felt were added. Her big feet & her long floppy ears make this little bunny sweet. 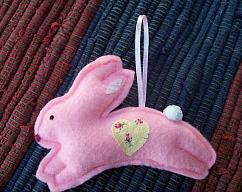 She has a little brown puff tail & an ivory ribbon attached for hanging. 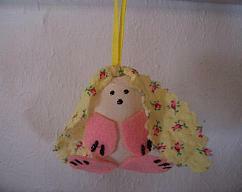 So cute for hanging anywhere for Easter. 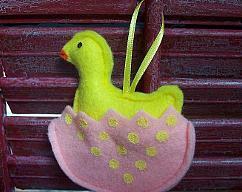 Thanks for stopping in, please stop in anytime-Happy Easter!